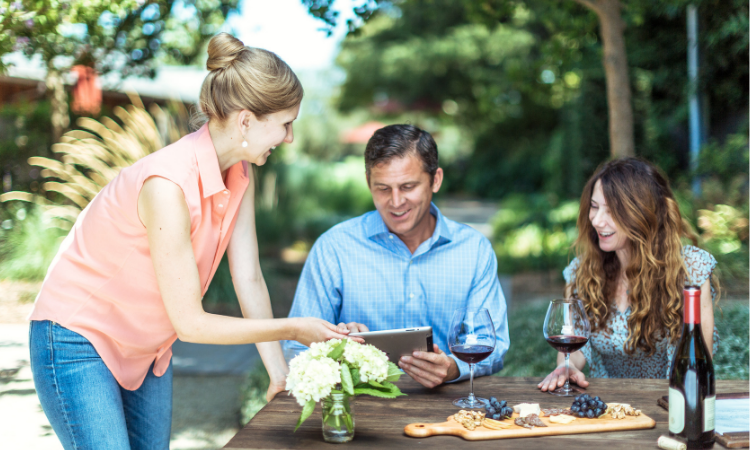 If you’re like most wineries, you love your club members. So, when one leaves, it hurts. Sometimes it is outside of your control, but one of the most common reasons for leaving a wine club is that the customer didn't like the wine you sent. 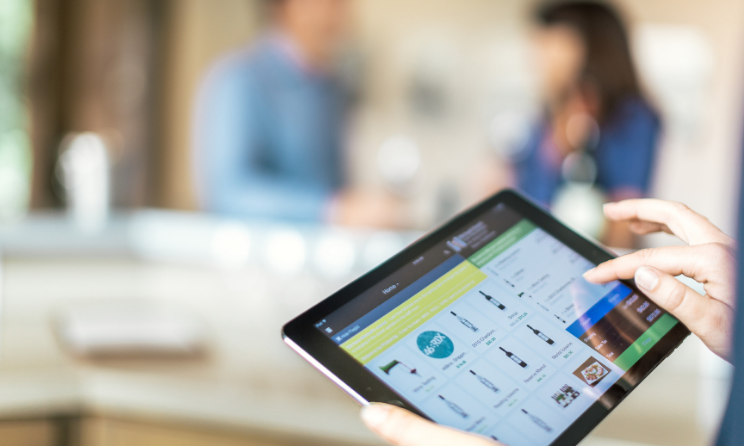 Instead of the customer being glad you sent them your chosen wines, they cancel their membership because they now feel comfortable enough with your wines to choose their favorites. 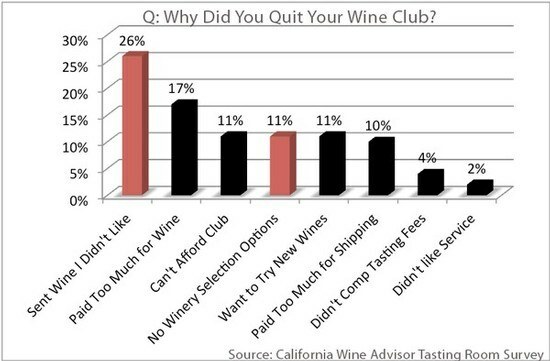 To meet the customer desire to have more input on the wines in their shipment, many wineries have tried to offer “customized” clubs. A custom wine club can be an administrative nightmare as it often involves special instructions, individual orders, and a lot of manual work. Beware of promising special requests - instead give everyone the option. It is better to lose a club member and keep a customer, than lose the customer altogether by over-promising and under-delivering. The more "custom" your club, the more specific hands-on processing is needed to meet each request which increases opportunities for mistakes. Instead of one-off requests, why not make a choice open to everyone? For instance, they can chose a new Chardonnay release, or a second bottle of the Merlot if they prefer your red wines. In this way you're giving choice, but not creating an administrative nightmare for your staff, or potential disappointment for the member. Be consistent with how you process these orders. If you go down this path, encourage your call center, tasting room staff or club manager to be consistent with how you mark customer requests for replacement wines. Thoughtfully set up the choices for swaps, check inventory, and inform the staff. If everyone knows what the choices are and processes it the same way, there is less chance for error. Limit the choices for the swap. We heard of one winery recently that had over 100 club options because the call center was afraid of saying “no”. This is no longer a club, these are processing one-off orders. 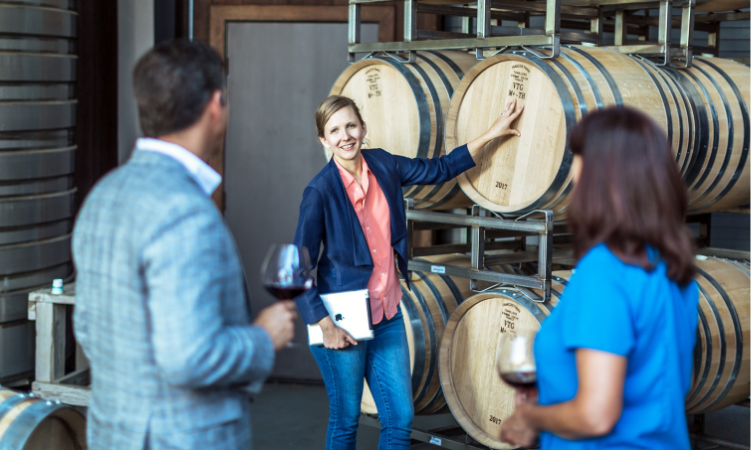 It is ok to provide choice - like everyone can swap the Chardonnay (default) for a Merlot - but when you get into a "pick your own" type of solution, you will enter into the realm of individual orders and not a club shipment. There are two pitfalls to a "pick your own" club. One is errors (see the first point above) but the second is scalability. It may be ok to note "always replace the Chardonnay wth the Sauvignon Blanc" for one big buyer (if you can remember to parce out his club shipment), but when that applies to 10 or 20 people, and the replacements vary...the administrative costs eats away at the profit too much. Keep your options simple and universal so your club is scalable as well as error-free. If the request is common, consider creating a new club tier. For instance, if you only send six bottles and you are hearing people cancel because they have too much wine, consider a two or four bottle club. They key here, as with most things, is to listen and think through the implications. Frequent meetings with your staff selling the club might provide more ideas. We’d love for you to share them!